Here you’ll find several local farm listings for fresh natural veggies, meats, and naturally leavened sourdough breads. Get in touch with the individual farmers for more information, and tell ’em you heard about them from Bulk Natural Foods! WHO’S YOUR FARMER? Folks who choose the Lingo Family at Beaverdam Creek Farm to be their farmers receive 23 weekly baskets beginning in May filled with beautiful, fresh, Certified Naturally Grown produce. Join our CSA and discover how eating seasonally is both a culinary adventure and a delight! We are a small family farm using old-fashioned, sustainable methods to insure that our veggies are nutrient-dense and free of harmful chemicals. We also sell naturally-raised Grass-Fed Beef, Stone Ground NonGMO Grits & Cornmeal, and handmade soaps. Find us on Saturdays year-round at the Franklin Farmers Market and May through October at 12 South Farmers Market in Nashville. For more information, email [email protected] or call 931-623-3732. Our quality grass fed beef is the most natural and healthy meat for your family. High in essential fatty acids. Our beef is organically grown and grass fed.. Purchase by the half or whole. We can have them processed, packaged and ready for your freezer. For more information, call Galen Beachy at 931-796-1356. We are small craft bakery and farm nestled in a beautiful hollow parallel to the Natchez Trace Parkway in Primm Springs, TN. We specialize in European style artisan breads baked in our owner built wood fired oven. This traditional method of bread baking has been used for thousands of years and creates a full flavored loaf with an exceptional crust. We use only pure ingredients, a long fermentation process, and natural sourdough leaven instead of commercial yeast. All of our breads start with a mix of whole wheat flour, water, natural sourdough leaven and salt. Then, depending on the bread, we add additional grains, seeds, nuts or fruit. That’s it! Nothing else! The dough is then left to ferment or rise for 18 to 22 hours. 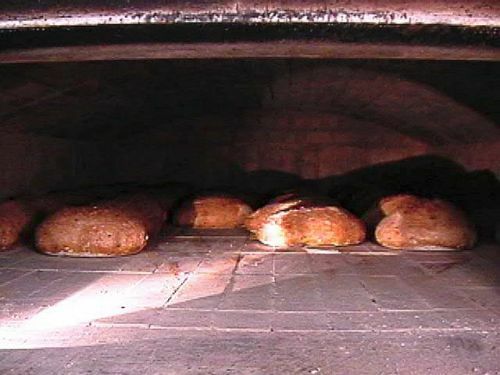 After the dough is cut, weighed and shaped into loaves it is allowed to rise for another two hours prior to being loaded into the oven. This long fermentation process, along with the natural sourdough leaven, makes the nutrients more accessible and the gluten easier to digest. Rabbit Foot Farm and CSA is a Certified Organic Farm, offering a wide variety of fruits and vegetables. 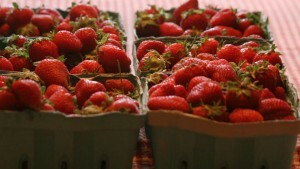 We are currently offering our $1 A Day CSA for the 2011 Season. 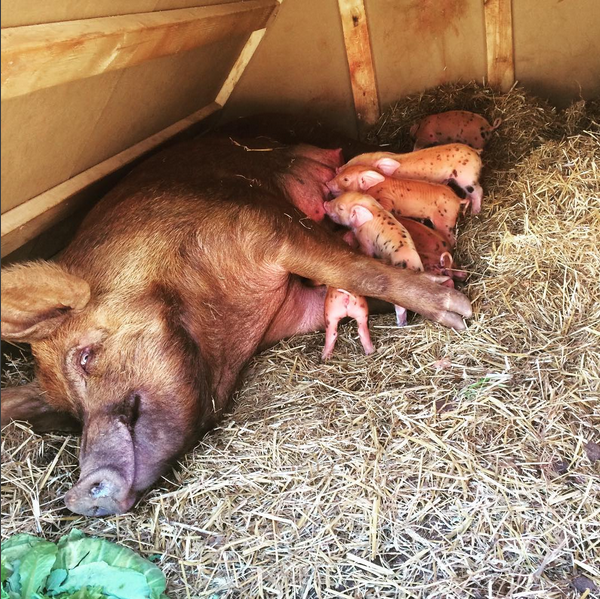 We are the only Certified Organic Farm in west Tennessee. Here at Windermere Farms, we grow many different fruits and vegetables during our season of May through October. We also have pick-your-own strawberries and blueberries. Our Farmers Market CSA allows you to invest early in a minimum amount of $300 and get a 10% bonus added to your investment. Spend it from your account like cash & add more when you run low. We sell at the Botanic Gardens Farmers Market on Wednesdays and the Agricenter Farmers Market on Saturdays. For more info check out our website. We are a small farm in Thompsons Station, TN just south of Nashville. We operate our farm using completely organic methods to produce healthier more sustainable products. We irrigate using spring fed water, and use organic heirloom seeds. We mainly grow Onions, Garlic and Tomatoes with occasional melons, squashes and free range chicken eggs. We are Bountiful Blessings Farm, located in Williamsport, between Centerville and Columbia. We are Certified Naturally Grown and Certified Organic. In October of 2011 we will be starting our 9th Winter CSA season with a wide variety of greens (cooking and salad), carrots and other root crops, winter squash, potatoes and herbs. In the fall we have raspberries and in the spring we have strawberries. We have delivery pick-ups at our farm, and in Columbia, Franklin, and Nashville – Elmington Park and Nashville Farmer’s Market. Here at Wild Flours, you’ll find fresh milled organic grains and organic baked goods – some gluten free products too! We offer fresh ground soft and hard whole wheat flours, spelt, quinoa, millet, brown rice, yellow and white corn and much more! All our grains and most of our ingredients are certified organic. We use the highest quality ingredients and as much local ingredients as possible. Check out our website at www.wildflours.org. 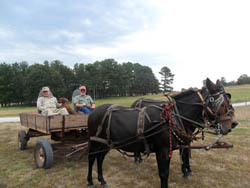 buckridge farm is located in dancyville tn, 30 min east of memphis, our main objective is bring life back to our soil, we use lots of high calicum limestone with a food grade fertilizer, we do our best to work with nature and not against it. because we put land health first, we beleive that our meat products are very healthy and balanced. we invite anyone to come for a tour or call with any questions, contact jake waddell 7317800230 or email at [email protected]. remember : YOU ARE WHAT U EAT!!! We are a Family owned and operated farm that sells fresh and local produce at the Cookeville Farmers Market on Saturdays and also offer CSA shares, with pick-up at the Cookeville Farmers Market on Saturdays or drop-off in the TTU area on Wednesdays. 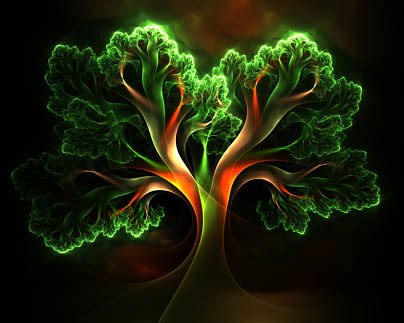 Growing naturally is important to us, that is why we are Certified Naturally Grown. We grow over 75 different varieties of vegetables, fruits, flowers and herbs, mostly tasty heirloom variety’s for the best possible produce. Our CSA is 28 weeks – week of April 23 through week of October 28th. Single Share: $392 ($14 per week, feeds 2 people) or Family Share: $784 ($28 per week, feeds 4-5 people). CSA membership helps keep a family farm in business while providing nourishing food to their members. We enjoy our work, we hope you enjoy the produce! 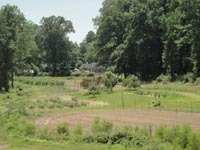 Visit us at 3sistersfarmtn.com for more information about our farm and CSA. We produce pastured chicken, turkey & pork and eggs using rotational grazing practices and supplemented with non-gmo feed. Our breeds are hardy & healthy because we select animals suitable to our area. We also don’t use any growth hormones, antibiotics, insecticides or pesticides. Lightning Jar Farm is located close to Norris Lake in Lafollette, Campbell County TN. 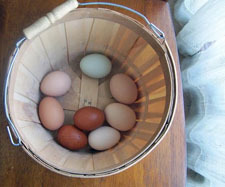 We offer; pastured poultry, chicken, turkey and true free range eggs. In the summer, pick-your-own blackberries are available. Our bees are tended without pesticides and without commercial wax foundation. 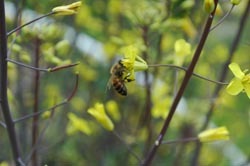 The ample wildflowers on and around the farm provide our bees with natural forage. We offer honey from these hives during summer months. Lightning Jar Farm is committed to the best quality vegetables, and we offer various garden vegetables and culinary herbs in season. We use organic methods only and work to preserve the long term fertility of soil. Please visit our Facebook page to see farm happenings. Covenant Family Farm is committed to providing you farm fresh products. We like to use grass for our animals’ main food source; any grain used on our farm is non-GMO, and our hay is also organic. We are located in the Middle Tennessee area. Milk share customers have an option of delivery in Spring Hill, Franklin or if you like, directly from the farm. Email us for location and drop times. Eco-Gardens CSA members receive a weekly basket of FARM-FRESH, LOCAL, CHEMICAL-FREE vegetables, berries, melons and herbs, from May to November. Farming brothers Andrew and Reuben Habegger are dedicated to growing the most pure, most nutritionally dense produce and are constantly learning more methods to bring the healthiest food our way, always grown free of all synthetic chemicals. Farmhouse Delivery coordinates community supported agriculture for several local, small Mennonite farmers in Scottsville, Ky. Our mission is to provide families with affordable, nourishing food while supporting farmers and building relationships between communities and farms. The farmers that we support are invested in sustainable, natural, chemical free, farming practices.Farmhouse Delivery was born out of the desire to feed my own family the healthiest, most affordable food available. We discovered small farmers going against the grain and delving into more sustainable, natural, chemical free farming, despite being told by their community that it was a lost cause. Five years later, we have partnered with several farm families to make their produce, meat and artisan products available to families, communities and corporations. We believe that nutritious food should be affordable and available to everyone. We believe that small farmers should be supported by families and communities to ensure that sustainable, natural, farming practices will thrive. We believe that knowing where your food was grown and who it was grown by is important and relevant. Our farmers only use horsepower to till the soil. They grow mostly produce and are using methods that are as close to organic as seems practical. They do not use treated seeds or conventional potting soil or chemical insecticides, fungicides or herbicides. They believe that healthy food comes from healthy soil and eating healthy food, makes healthy people. We currently offer delivery sites in Lebanon, Mount Juliet, Hermitage/Donelson, Rutherford County and Franklin. We have partnered with Nissan North America and work with the employee Wellness at Work program. Please contact us if you would like to see your community or business added to our list. For those of us who want to eat healthy and don’t like hormones, colors or anything else added to our beef we can now purchase 100% Natural, Grass Fed and Finished, locally grown Angus Beef right here in Camden, TN. Utopia Farm has roasts, steaks, burger, stew beef, liver and more all frozen and ready for purchase. You may contact us at [email protected] or call 731-441-6074. We are at the Farmer’s Market in Camden on Wed. and Sat. mornings. 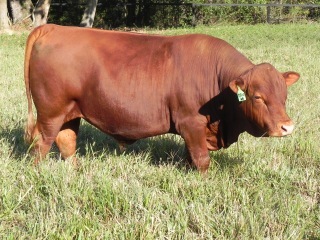 Or call anytime to arrange a private sale. We also have pasture raised chicken. See our Facebook page for more information. J & J Farm provides good, wholesome. grass fed meats at our farm in Lexington, TN and the West Tennessee Farmer’s Market in Jackson, TN. All our products are chemical free, hormone free, antibiotic free, nitrate and nitrite free, no added water and no MSG!! Our meats are locally raised and rich in Omega 3. We currently provide beef, pork, lamb and pasture raised chickens. We have been in business for over 30 years and are thankful for the opportunity to raise and make these meats available to our customers. We also sell beef and hogs by halves or whole during non-peak season. You can find us on Facebook at J & J Farm or our website j-jfarm.com; We look forward to serving you!!!!! 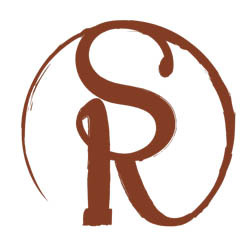 Southern Ridge Farm is a 180 acre grass-fed meat farm located in the rolling hills of Middle Tennessee south of Nashville in the Spring Hill, TN area. We are a true family farm with all of our children engaged as principal operators in some aspect of the business. We currently sell grass-fed beef and lamb, as well as pork and pasture raised chicken. We have a year-round meat CSA, and our members can choose from an all-beef share or their preference of mixed meats. Our goal is to be your local provider of healthy, tasty, nutritious farm products! Would you like to see your farm listed here? So would we! Contact us so we can get your farm listed.